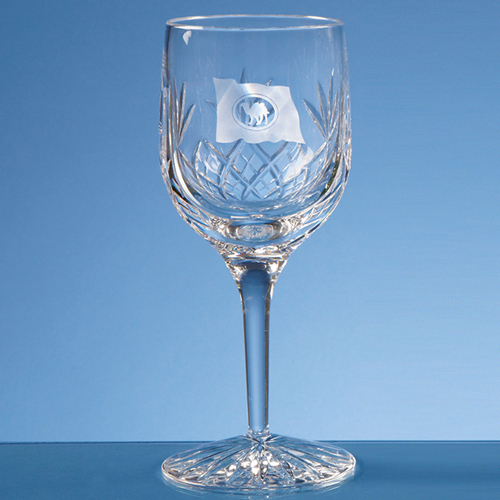 The Blenheim lead crystal panel wine glass is a traditional piece with a diamond cut design and engraving panel. It can be personalised for corporate events or as a gift. Add any crest, logo or wording to create a unique gift that will be treasured by the recipient. Also available in the Blenheim range are goblets, champagne flutes, whisky tumblers, high balls and brandy glasses.